A subsidiary of Swiss-based food giant Nestlé has caved in to demands by environmentalists that its Ontario water-bottling operation be subject to mandatory restrictions in times of drought. Nestlé Waters Canada initially challenged the new requirement that its Hillsburgh plant, near Guelph, Ont., be forced to cut water usage under drought conditions as a condition of its water licence renewal last year. It was the only area water user facing such a restriction. The water-conservationists said the permit gave Nestlé Waters the right to pump up to 1.3 million litres of water a day from the local watershed. Previously they'd claimed the licence allowed it to take 3.6 million litres a day. The company appealed to the Ontario Environmental Review Tribunal, saying it was being singled out and had always complied with requests to cut water usage under the previous voluntary regime and now was being held to a standard different from other water-users. But then the provincial Environment Ministry removed the mandatory restrictions from the five-year licence renewal, angering the local Wellington Water Watchers and the nationalist Council of Canadians. They enlisted the help of Ecojustice enviro-lawyers to appeal the government's decision to the tribunal, which ruled in August that the deal between Nestlé and the government was not in the public interest, CBC News reports. It said the company's original appeal should go to a full tribunal hearing. That ruling apparently prompted Nestlé to drop its is appeal, effectively ending its opposition to the mandatory drought restrictions. "It’s a major win," Ecojustice lawyer Will Amos told CBC News. "Nestlé’s decision to back down is huge. For the first time in Ontario’s history, a company must adhere to mandatory restrictions on the water it pumps out of the ground during drought conditions." Nestlé apparently did not comment on its decision. It's opponents said in a joint news release they were celebrating their victory. “It was clear to us from the beginning that the lack of hydrological information would not support Nestlé’s appeal for very long," Wellington Water Watchers chairman Mike Nagy said. "Sadly, the Ministry of the Environment failed to protect our communities’ water sources by negotiating a questionable settlement with Nestlé. It took action from Ecojustice lawyers representing the Council of Canadians and Wellington Water Watchers to make it clear that this appeal was unjustifiable, indefensible and not in the public interest." Nagy said the government is not taking its responsibility to protect groundwater seriously as climate change increases the frequency of drought. "Community groups shouldn’t have to put time and money into challenging the Ministry to do its job," he said. The case highlights the failings of Ontario's water-permit process, added Emma Lui, Council of Canadians national water campaigner. "We hope to see more mandatory restrictions on the water takings throughout the province where profit before conservation exists,” she said. 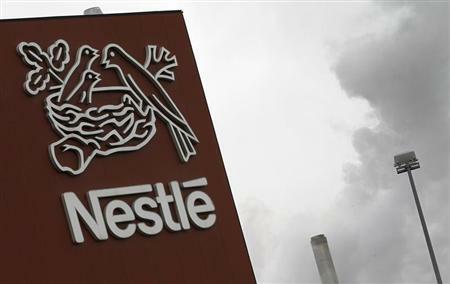 Nestlé, the largest bottled-water company in the world, has seen its Canadian operations under the gun for some time. B.C. conservationists are upset the company is allowed to pump millions of litres of groundwater for its Hope, B.C., plant with no permit needed and at no charge. In Ontario, it pays a nominal cost of about four dollars per million litres. The B.C. government, acknowledging the water free-for-all, has undertaken a review of the century-old Water Act called Living Water Smart to modernize it and update regulations. But the process is dragging; it was supposed to have new rules in place by last year. For its part, the company claims to be conscious of the need to use water responsibly. "We believe that we are facing a serious water crisis in the coming years that will have serious consequences for food security," Nestlé says on its web site.